For in-store inquiries, use sku #2631507. 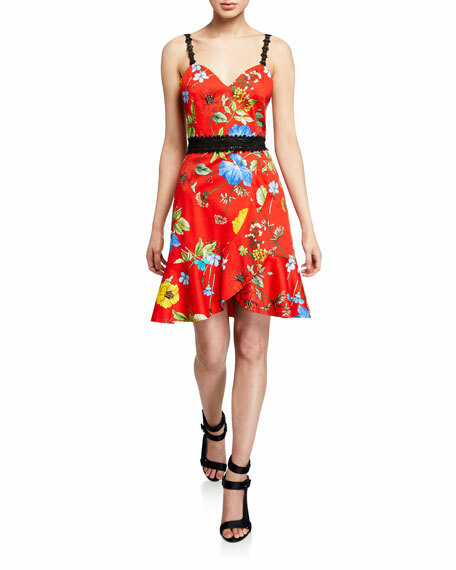 Alice + Olivia "Kirby" dress in floral-print with lace details. Approx. 36.1"L from shoulder to hem. 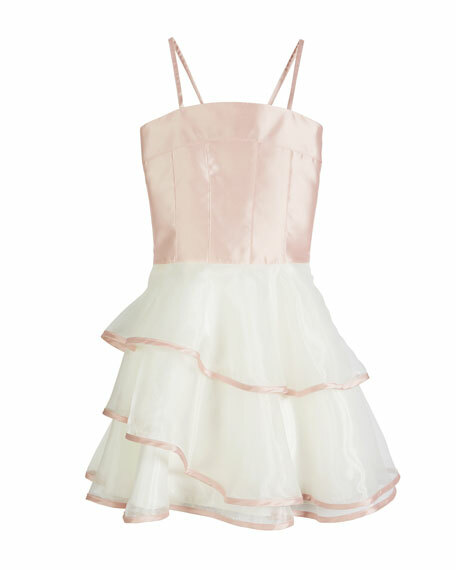 Sweetheart neckline. Sleeveless. A-line silhouette. Draped skirt. Flounce hem. Knee length. Back zip. Cotton/spandex. Polyester/spandex lining. Imported. 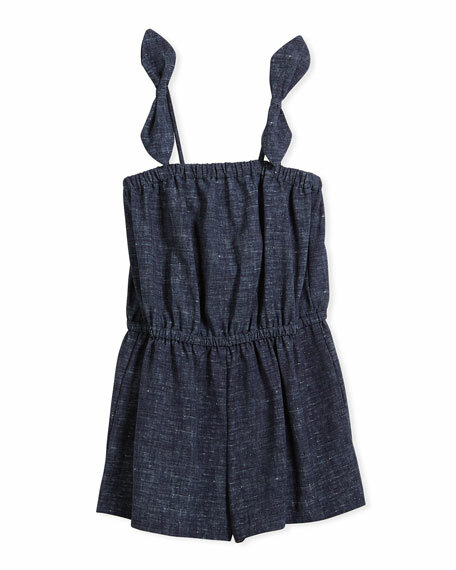 Milly Minis stretch crepe romper in dark denim. Elasticized square neckline. Spaghetti straps with bow detail. Elasticized waist. Relaxed legs. Polyester/spandex. Made in USA of Italian materials. 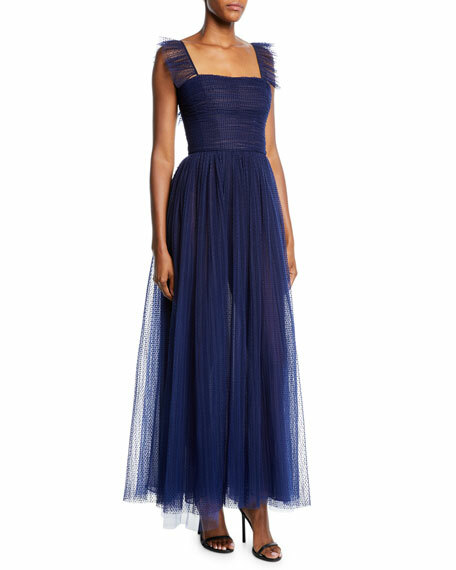 Monique Lhuillier gathered tulle dress. Square neckline. Ruffle-trimmed shoulder straps. Ruched bodice. A-line silhouette. Tea length. Hidden back zip. Self, polyester/nylon. Contrast, cotton/nylon/silk. Lining, polyester. Made in USA of imported material. Ramy Brook "Viola" ombr pleated cocktail dress with self-tie string at waist. V neckline with keyhole front. Sleeveless; adjustable straps. A-line silhouette. Midi length. Slipover style. Polyester. Dry clean. Imported.